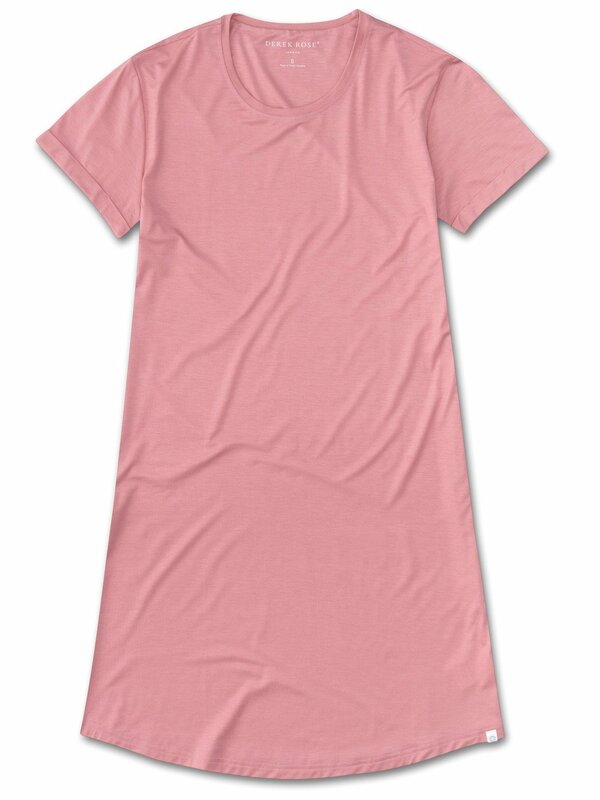 Perfect for lounging in when you get home from work, a good nights sleep and then breakfast round the table in the morning - our Carla 4 women's sleep t-shirt works effortlessly as a modern alternative to the classic pyjama. The sister fabric to our men's Basel micro modal stretch fabric, the Carla originated from a desire to make a lighter weight version of our signature ultra-soft fabric. We maintained the super-soft fabric quality and stretch composition but achieved a lighter and more feminine blend that our customers love. What's more, the Carla fabric retains its initial softness and peach pink colour and is also environmentally friendly; made from sustainably forested European beech trees using a process that is carbon neutral.